Happy holidays! We thank you for another year of support, as we now set our sights for Q1 of 2019. We are excited to provide information that is relevant in helping you “make the pieces fit” for your organization. Our special interest group (SIG) targets SAP users who have an interest in areas such as development, operations, testing, workflow, and archiving. We provide technical content and resources for analysts and developers working with SAP tools and databases. While 2018 is coming to an end, we wanted to take a moment to look back on our year and highlight some of highest attended sessions and webcasts in case you missed them. At our 2018 ASUG Annual Conference, a BITI session, A Customer’s Journey Implementing S/4HANA, was one of the most highly attended throughout the week. If you want to view this presentation, along with the rest of the conference presentations, you can view them here. We also had a great webcast with SAP Mentor Alumnus D.J. Adams, who presented BITI: Introduction to SAP Cloud Platform Workflow. You can watch our complete list of workflow-themed webcast replays here. Last, but certainly not least, we currently have a developer webcast series going through 2019. If you’d like a preview of this series, here’s a great webcast that we held in 2018: BITI: Overview of SAP NetWeaver Application Server for ABAP 7.5x and ABAP Platform 1809. You can view a live demo, along with some great product highlights. We are looking to share even greater content and information with you in 2019! Thank you all for your participation and feedback. We couldn’t be successful without your help. As a valued member of the ASUG BITI community, we wanted to let you know of some upcoming webinars that may be of interest to you. We prioritize providing insights from SAP’s most respected voices on the most relevant and important topics today. These webcasts are scheduled through April 2019. You can view 2018 webcasts on demand, as well as register for our 2019 webcasts, here. Disclaimer: ASUG does not provide or administer Continuing Professional Education (CPE) or Professional Development Unit (PDU) credits, but some of our volunteers have been successful in earning these credits toward certification, by attending relative webcasts and events. In an effort to continually improve, there are ways that you can get involved in actively influencing SAP products. We wish a fond farewell to Jim Spath, our long-time ASUG BITI Volunteer. Jim started volunteering in 1998, back when agendas were on typewriters! 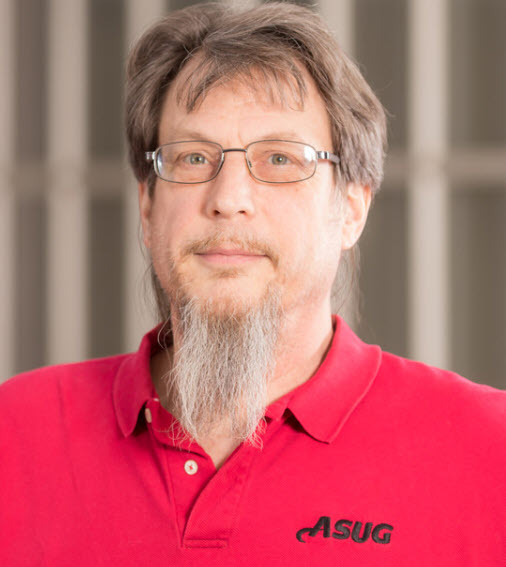 We want to take this time to thank Jim for the wonderful work and support he provided to the ASUG BITI community and other volunteers. He’s done everything from providing great conference guidance, to taking the time to mentor and help new ASUG volunteers. He has also taught many of us how to run our SIG, how to collaborate with each other, and always provided solid advice when asked. From his first blog on the BITI ASUG Space to his latest blog, his numerous contributions to ASUG and BITI will not be forgotten. Farewell to Jim Spath . I really enjoyed the ABAP Detective blogs. I hope his retirement from the ASUG won’t stop his sharing of investigations. Thanks for all you did for the ASUG and the community in general. As A. Conan Doyle discovered after the Reichenbach Falls, one doesn’t simply kill off their main character. I’ve got a Pythonesque post brewing with some adobe mud slinging, as well as other process automation investigations. Behold the RPA Detective ! Looking forward to the new series.